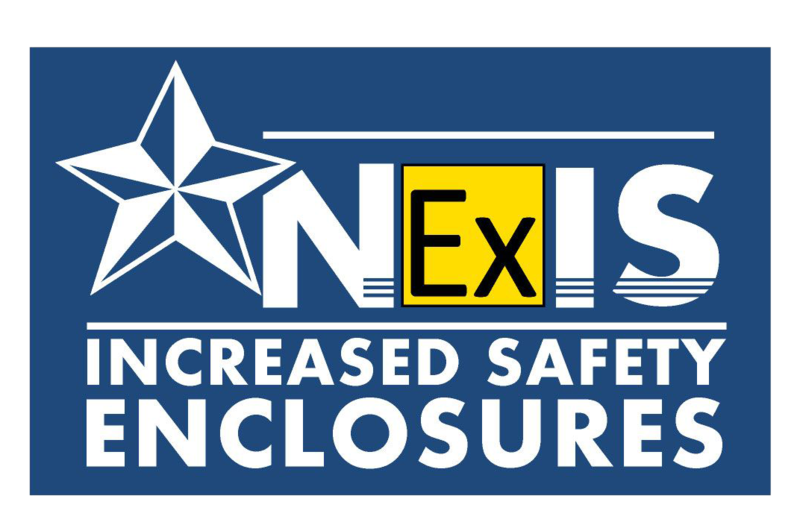 Nema Enclosures manufactures quality custom and standard electrical enclosures that comply with the safety standards of the IECEx global certification system IEC 60079-7 standards for the safe use of electrical enclosures in potentially hazardous areas. 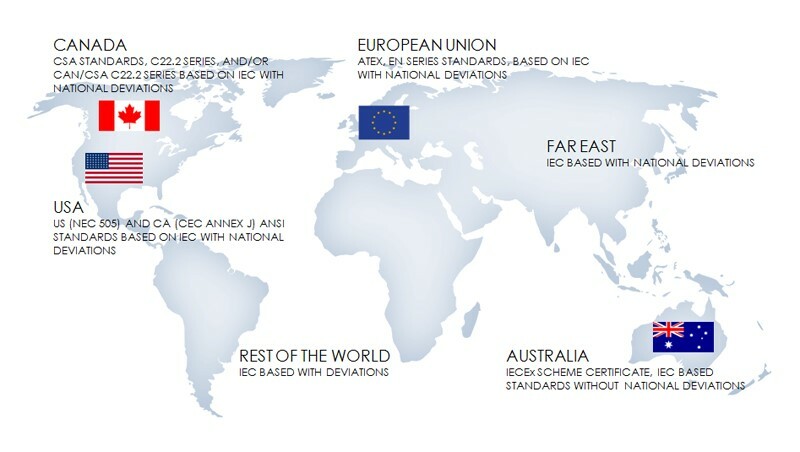 IECEx is an international certification organization that works to standardize product & service explosion protection compliance in hazardous areas around the world. IECEx certification framework is based on IEC and ISO International Standards, specifically for enclosure IEC 60079 standards for the safe use of enclosures in potentially hazardous areas. It benefits countries whose national standards identical to, or else very close to the International Standards. The IECEx concept and practice work to reduce trade barriers caused by different safety compliance criteria in various countries, and help industries to open up new markets. The goal of the IECEx System and its Certified Schemes is to ease international trade of Explosion Protected Equipment (termed Ex equipment) by eliminating the need for duplication of testing and certification, while preserving safety. This Scheme assures that products listed on the IECEx Certificate of Conformity follow the International Standards listed on that IECEx Certificate. The Scheme provides an IECEx Test Report, an IECEx Quality Assessment Report and an IECEx Certificate of Conformity. This Scheme assesses and certifies that organizations and workshops that provide Ex equipment selection, design, installation, inspection, maintenance, repair, overhaul and reclamation services to an Ex industry do so respecting the strict requirements of IEC Standards. This Scheme provides an IECEx Facility Assessment Report and IECEx Certified Service Facility Certificate. This Scheme provides independent verification that a person holding an IECEx Certificate of Personnel Competence has the ability to apply her/his skills, knowledge, qualifications, and experience to work safely in accordance with relevant Ex Standards and International Standard ISO/IEC 17024. This Scheme provides an IECEx Personnel Competence Assessment Report and an IECEx Certificate of Personnel Competence. This System provides immediate evidence that products bearing this Conformity Mark, illustrated below, are covered by an IECEx Certificate of Conformity. The ratings shown in the downloadable chart above are based on similar application descriptions and performance expectations. Nema Enclosures manufactures quality custom and standard IECEx certified electrical enclosures. 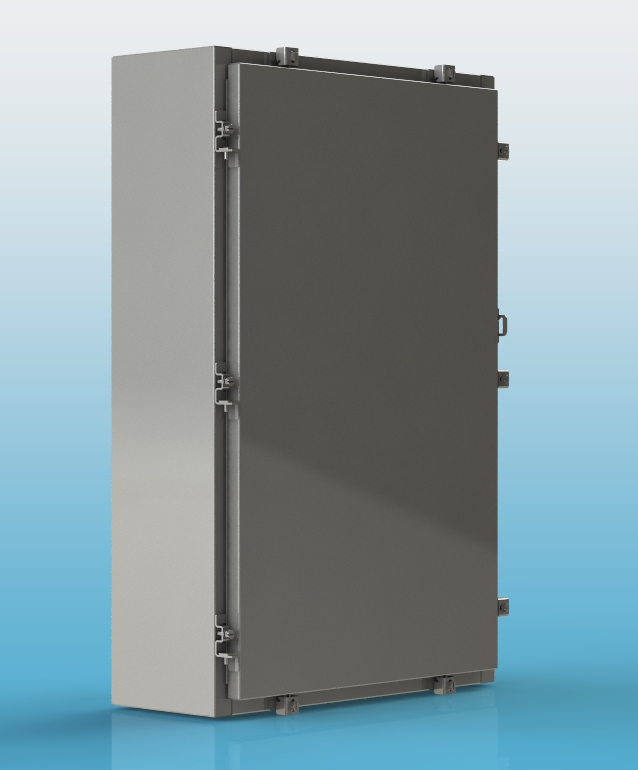 Our IECEx "Ex e" increased safety enclosures are available with powder coating and silk-screening customization. Contact us today to learn how we can fabricate a custom enclosure and produce cost-effective standard IECEx certified enclosures to protect your equipment.